Chôgi (長義), also known as Nagayoshi (長義), along with Kanemitsu (兼光) are thought to be two of the truly great Bizen (備前) smiths of the Nanbokucho Era (南北朝時代). These two smiths are thought to have studied under Masamune (正宗) and are included in the list of the Masamune Juttetsu (正宗十哲) (ten famous students). 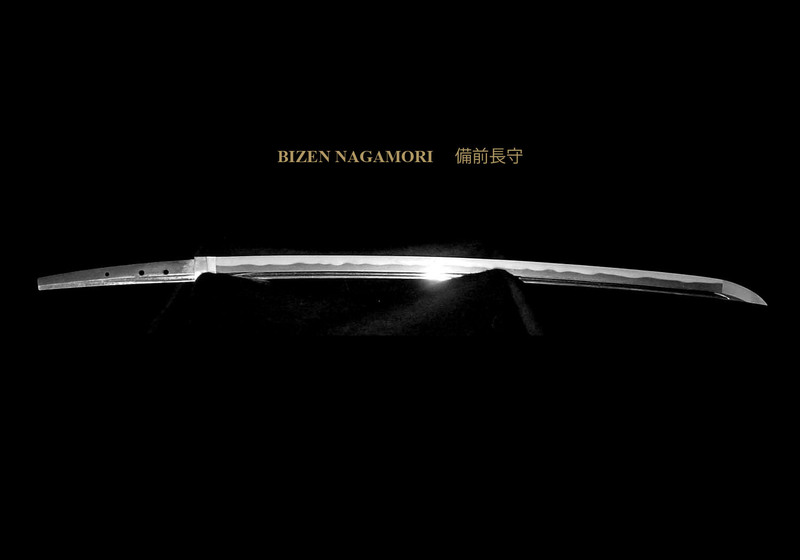 Generally, Bizen(備前) swords made during the Nanbokucho Era (南北朝時代) are called Soden-Bizen. Among these Soden-Bizen works, those by Chôgi (長義) and his students show the most distinct features of the Soshu (相州) tradition. Works by this school have been confirmed from Shochu (1324-1326) to about the Oan period (1368-1375). The five smiths who are considered to have been the students of Chôgi (長義) are, Chôgi (長義) (2nd generation- Eiwa), Nagatsuna (長綱) (Eiwa), Nagamori (長守) (Enbun), Nagasuke (長助) (Eiwa), and Nagatsuna (長綱) (Joji). Of the works by the Soden-Bizen smiths, the works by Chôgi (長義) and his students show the most distinct features of the Soshu(相州) tradition . Some of their hamon and jihada are reminiscent of the works of the masters of the Soshu (相州) province. 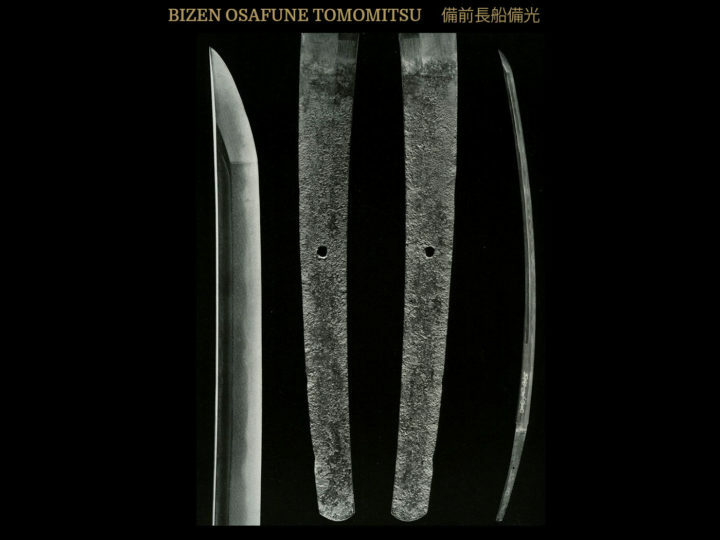 Traditionally, the soft steel used by the smiths of Bizen (備前) is said to be very difficult to work in nie, however, Chôgi (長義) and his students were successful. This is a testimonial to their skill. Works by Nagamori (長守) are rare. In fact, he is thought to be the rarest of the five students of Chôgi (長義). He made tachi (mostly shortened to katana), tantô and naginata blades. Surviving katana are scarce and most of the naginata have been shortened to become naginata naoshi blades mostly with the signatures lost. The following are the general traits of Chôgi (長義) and his school. SUGATA: Tachi are wide and have an o-kissaki. There is very little sori and very little hira-niku. The shinogi is high and the kasane is usually thick. They made tantô of about 28 cm with a wide mihaba and shallow sori. 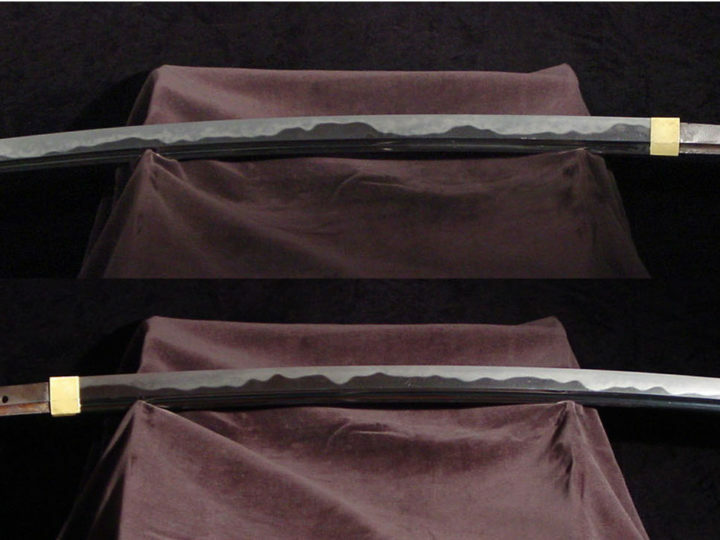 Blades made in the size of ko-wakizashi (31 cm or longer) are never seen. They made naginata and nagamaki but they have all been converted to a naoshi shape. JITETSU: The steel tends to be soft and worked in an itame-hada mixed with some mokume-hada. The grain is tight and dense with nie forming chikei. Occasionally, there will be utsuri but it is scarce. HAMON: The hamon will be wide and gorgeous. They worked basically in nioi deki (Bizen style), but there is also the addition of profuse nie. The hamon will tend to be o-midare mixed with choji-midare. Among the o-midare will be ear shaped gunome or mimigata-midare (in the works of Chôgi). Inside the ha there exists many ashi and yo. On works that have much nie, the nie within the hamon will form sunagashi and this will turn into inazuma and kinsuji. Chôgi’s workmanship is close to that of Hiromitsu and Akihiro, both great smiths of the Soshu tradition. 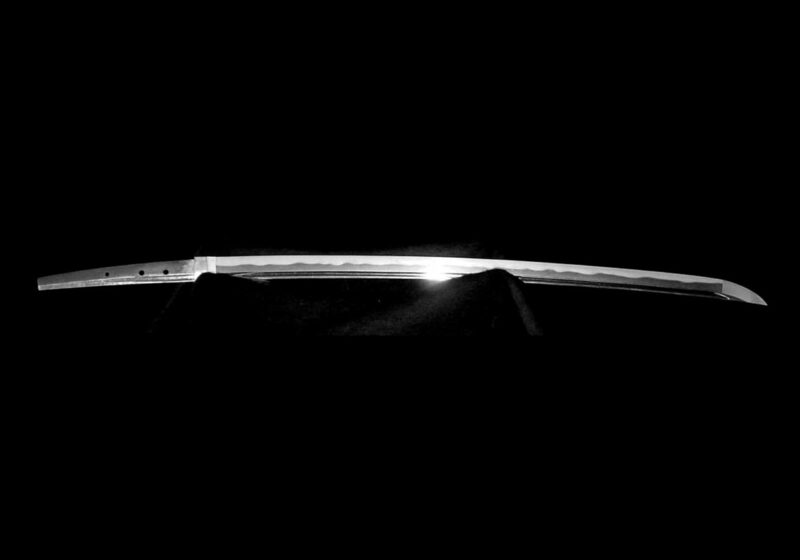 The grain of the steel within the hamon in the works of Chôgi and his students will stand out quite clearly. BÔSHI: The bôshi on his katana will be long and powerful, typical of Nanbokucho Era swords. Bôshi will be midare-komi with a sharp turn-back running down the mune (kaeri). NAKAGO: The width of the nakago does not taper towards the nakago-jiri, which is made in kurijiri. The file marks are generally sujikai.